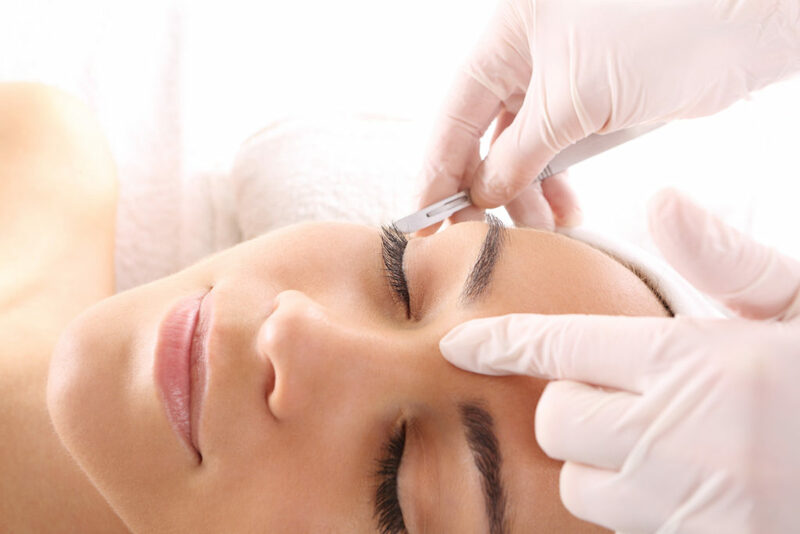 Dermaplaning is such a popular skin treatment. People love how soft the skin is and makeup goes on so well. For those that may not be familiar with Dermaplaning. It is a treatment where you use a surgical blade and use a technique to scrape the vellus hair and dead skin off. It is not painful or irritating. When talking to a client I try not to use the word “surgical blade” it kind of scares people a tad. I usually tell them it feels like a butter knife gently scraping the dead skin. Using the right products in your professional Dermaplaning treatment can help you have a radiant polished result. Here are some suggestions of products that we love to use to prep and finish off Dermaplaning. Facial Gel Cleanser – Great cleanser to get the skin nice and skin without irritating. Good for all skin types even sensitive. AHA Toner – Almost all skin types do well with this toner as a prep. If you have someone that is extremely sensitive to AHAs you can use the Lavender toner. Papaya Pineapple Enzyme – You can turn on the steam when you are half way thru the dermplaning to get it warm enough. If you do not have steam you can use a hot towel compress. Clients love this. There is a rare one that may not like it but it is very rare. Apply a thin layer of the Papaya Pineapple Enzyme and cover eyes. This professional facial enzyme will digest all dead skin that didn’t quite come off. This will leave the skin super polished! Here apply any serums that are appropriate for the skin you are working on. You can use the Clarifying Serum for Normal to Oily to help nourish and hydrate the skin. Antioxidant Serum for Normal to Dry. Antioxidant Serum is packed with vitamins and will plump up skin. Moisturize – AHA Cream for Normal to Oily and use Vitamin Rich Cream for Normal to Dry. 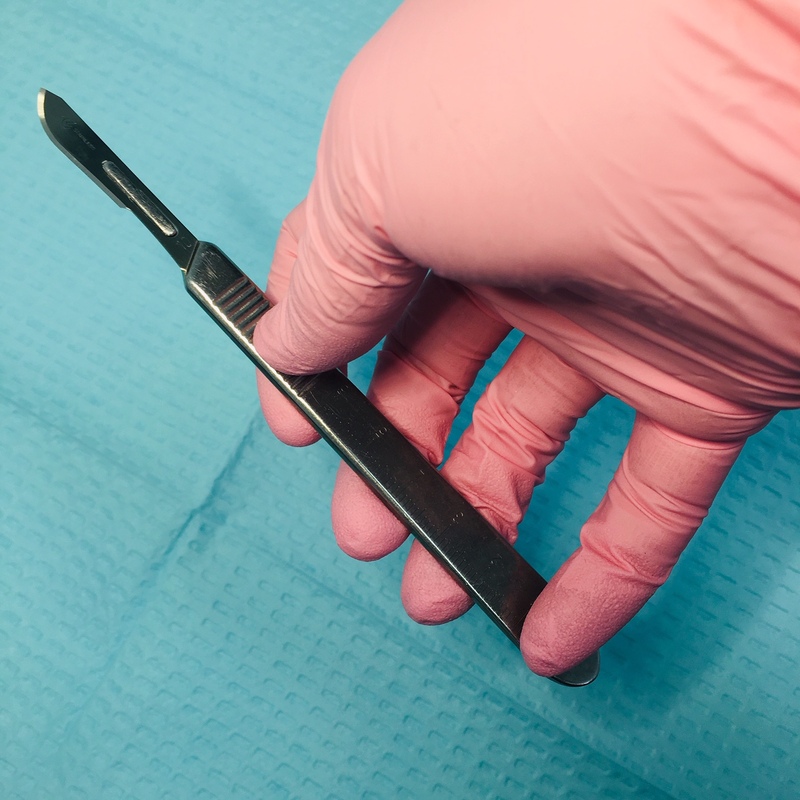 TIP – How to hold the Dermaplaning tool? 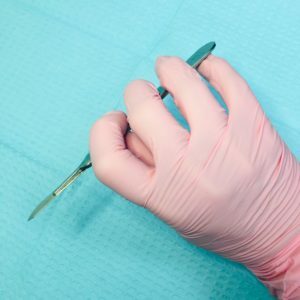 There is a special technique for Dermaplaning. It is something you want to get trained on properly if you do not already do it. I have seen many videos on social media with aestheticians holding the blade incorrectly without any control. (holding it like a hair brush and just going over the skin gives me the chills). To avoid cutting someone you want to have a good technique. I have posted an image of our preference in holding it. I am sure there are many other ways or techniques. This is what has worked for us. Keeping the “pinky” finger on the opposite side of the handle gives you more control. Holding it this way also helps you keep the blade at a 45 degree consistently and a lot easier. Let us know what works for you in your Dermaplaning treatment. We would love to hear from you.